I guarantee there was no concept of an “Other” gender in 1992. There are lots of people out there, like me, that view Fire Emblem Awakening and Fire Emblem Fates as representing the destruction of a once-great Fire Emblem franchise. (It actually started with Fire Emblem: Shadow Dragon, but that doesn't fit the narrative.) By saving the series from its own nicheness, it ultimately killed what made the series great and replaced it with many undesirable elements. These lots of people, unlike me, see Nintendo's decision to make and heavily promote Fire Emblem Echoes: Shadows of Valencia as a very good thing. They want it to sell well and send a market message that Fire Emblem can have a game WITHOUT custom avatars or “waifus” or bad storylines, and still be appreciated by the modern world and actually be profitable. To them, Fire Emblem Echoes: Shadows of Valencia represents a potential return to Fire Emblem form. The good ol’ days. Why, if this succeeds, then we can have the real Fire Emblem back! ...But... as I said in the opening, this is based off of Fire Emblem Gaiden, the weird black sheep of the franchise that no one liked. Hey... 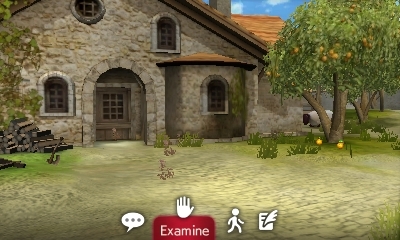 If Fire Emblem Echoes: Shadows of Valencia has Ace Attorney mechanics now and it's taking a lot of cues from visual novels, maybe I would actually like it...? Just because it's different than Fire Emblem Awakening and Fire Emblem Fates doesn't make it Fire Emblem: Path of Radiance... or your choice of representative Fire Emblem there. Remember its roots. No one liked Fire Emblem Gaiden before it was remade. Why is it being treated so well after its remake, even though it's a faithful reproduction of the same game? Same odd gameplay quirks. Same non-traditional Fire Emblem action. Same grinding. If you want to make Fire Emblem great again, then Fire Emblem Echoes: Shadows of Valencia isn't the way to redemption. We'll have to wait and see what Fire Emblem on the Nintendo Switch is. Here's to hoping it's the third game in the Tellius saga! Ludwig has declared himself done with the Fire Emblem series after playing through Fire Emblem Awakening, and considers KoopaTV's Game of THAT Year 2013 vote to be one of the worst decisions that KoopaTV has ever made. (Voting Fire Emblem Awakening for Game of THAT Year 2013 was the last thing that KoopaTV staff traitor Chrom contributed to KoopaTV before ultimately being fired.) Ludwig really did adore Fire Emblem: Path of Radiance and Fire Emblem: Radiant Dawn, however! 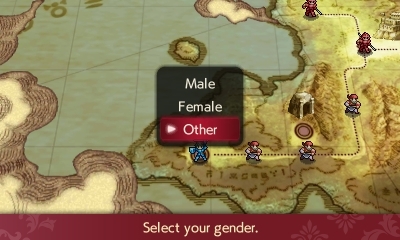 Quick post-article reminder that Fire Emblem Gaiden has the least popular characters in the series. Meh, I really only know this series because of Super Smash Bros. Melee... I always thought that it was kind of weird to have so many fire emblem characters in Smash for 3DS, isn't it like four or five from that game alone? At least one of those character slots could have gone to King Hippo or Dark Samus. Were you a fan of these Emblem games before they were prominent in Smash Bros? I know that they were around in Nintendo Power's featured games- at least I think so? You need to explain at some point why you never got a Wii U. Right now, Super Smash Bros. 4 had 4 Fire Emblem characters as part of the base game, and 2 additional ones as paid downloadable content. I wasn't a fan of Fire Emblem prior to Melee because I never heard of it, but I became a fan in-between Melee and Brawl, so I was very, very happy when Ike was the first new character announcement made through the DOJO!!. Honestly the only reason I never got the Wii U was because of the 3DS library of games! I really regret not playing a lot of the games that were exclusive for Wii U though- even if I like the portable games more. I wonder if that was the case with a lot more peeps too, they made the 3DS a little too good? Resident Evil Revelations- Monster Hunter Generations- Smash 4 3DS- Kid Icarus Uprising- Legend of Zelda link between worlds- The re-release of Ocarina of time and Majora's mask in 3D, and last but definitely not least, all of the Streetpass Mii plaza games. Streetpass is still kinda cool! I had to stop style savvy, it was taking over my life. I won't say anything more about that game, other than it was probably designed using ancient hexing rituals and sparkly sequins. I loved the 3D in the Kart 7 game, it was the best use of it by far! You could actually get a sense of real depth and speed because of the 3D effect- the same with MH4U, I could never hit anything without the 3D being on! Okay one more thing about the style savvy trendsetters game, the user contest forums were off the chain with the inventive challenges and outfits. Did you see my Spider Girl outfit?!... never mind, it's trying to take over again. So is the 3D worth the extra $50 premium between the New Nintendo 3DS XL and the New Nintendo 2DS XL?